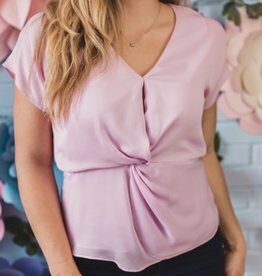 This adorable blouse is a must have for spring and summer! Our Blair top features an off the shoulder collar neckline and a button down detail. We think this top would look great paired with some white skinny jeans.